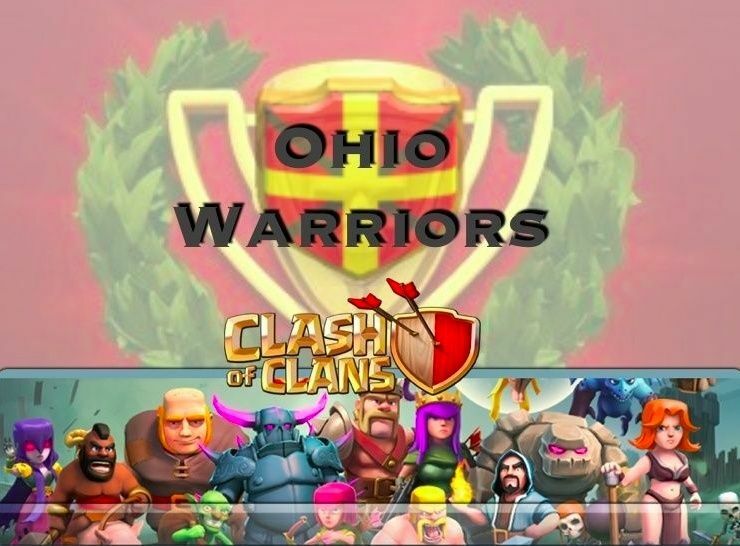 On December 7, 2014, hostilities ceased between the Ohio Warriors and 3 Lions, and we were victorious. This war presented to us an impressive opponent with skill and discipline, yet our clan prevailed with precision execution, timing, and legendary discipline. By now, I hope we have all had a chance to consider the fact that we defeated an opponent which consisted of 3 TH10’s, 3 TH9’s, 13 TH8’s, 10 TH7’s, and 1 TH5. Many of their clan castles contained level 6 wizards and level 6 archers. 3 Lions also displayed a tremendous amount of discipline throughout the conflict. We worked hard communicating constantly from beginning to end, picking our opponents wisely, and for the most part executing well. Any time we defeat a superior (at least statistically superior) opponent who gave us their best shot, it is worthy of study. The following will illustrate what I believe to be our key takeaways from this conflict, and areas to focus and improve on. And there is always room for improvement. The Stats: 3 Lions actually outperformed us in several areas: They had 9 defends, we had 7. Their average destruction was 88.4%, ours was 86.5%. However, our overall strategy allowed us to prevail, because the timing of our target selection allowed us to effectively match up remaining attacks to viable targets. In essence, we didn’t run out of opportunities to gain stars, while the opponent was left at the end with no viable attacks. Discipline: Our discipline was once again nearly perfect. The selection of opponents was very good, and then the selection of our 2nd attacks was even better. However, we did have a few mistakes on discipline that we need to clear up. There was one player who did not use his 2nd attack. I want everyone to understand, yet again, that this is NOT optional. Regardless of level, regardless of outcome, regardless of available targets, we WILL use both attacks in every war. It is simply NOT ACCEPTABLE to have a player sit back and watch the rest of the clan use their resources (both dark and regular elixir), their time, and donate countless war grade troops, while not using both attacks. This is your official warning. We also had yet another instance of going into battle unprepared. In this case we had an attack with NO spells loaded for use. This puts you at an enormous disadvantage, and is unacceptable. AGAIN, before you click attack, go back to your base and double check that your army camp is at capacity, your clan castle is full of war grade troops (the ones you need for your opponent), and your spells are full. Execution: We had some very good execution. TH7’s, once again great job getting it done with your dragons. At the higher levels I think we are starting to see that dragons may not always get the job done. If you’re going to continue to use dragons, you may want to make sure you are upgrading your rage and/or healing, and using level 3 dragons. It does get considerably more difficult when the opponent spreads out his base and has level 5 or 6 AD’s. If you’re going to make the jump from dragons to a ground game, you need to start practicing now. I can assure you from experience, that there is a learning curve when you make the jump. Watch the replays from this war to get a good idea. I’m going to point out a few of our good performances. Jared’s attack on #11: Once again, Jared proves that level 5 giants with wizards and healing spells can get it done. On this attack, Jared used his clan troops, hogriders to draw out the cc troops. Once eliminated, he commenced his attack. Wizards pack a major punch, and in mass they are devastating. Level 5 giants with 670 hit points will go a long way, taking out defenses as they go, which alleviates the pressure on the wizards. Pati’s attack on #7: Pati 3-starred a TH9 with level 6 balloons and level 4 minions. She used lightning spells to weaken the AD before sending in the balloons. Although the balloons did not make it to the end, they did do the heavy lifting. Minions cleaned up, including the Townhall and a level 6 AD. Great job on this one, but we do NOT recommend TH8 players trying this because level 5 balloons are significantly weaker than level 6, and you have one less spell at TH8. Joroko’s attack on #13: This was a classic dragon attack with rage. However, he used hogs and archers to draw out the cc troops before commencing the main attack. Also, dragons were deployed from 2 locations, and rages were placed very appropriately, when the dragons got near an important target. Barrjosephson’s attack on #11: This was a classic GOWIPE attack. Joe used a single giant to draw out the cc troops, then after eliminating them, sent in Golems with wizards and Pekka’s. Normally, you can rage the wizards and Pekka’s into the center. If you are planning on starting GOWIPE attacks, you need to start watching them now. They are HIGHLY effective for 2 stars against ADVANCED TH8 bases, when an all-dragon attack may fail or only get you one star. Notice also the amount of wallbreakers you will need. Another effective method is to send 2 wallbreakers behind your single giant to get a head start on a path for your golems. War Strategy: There are some strategies I think we need to employ going forward. 1) War Map clan castles. We need to switch from dragons in our war map (defensive) clan castles to archers and wizards. Now that we are facing more advanced opponents, we see how archers and wizards defend much better than a dragon. 2) Lower players need to use both attacks as quickly as possible. This is in order for us to see where we can clean up, and allow the lowest possible players to do the cleaning up at the bottom. If you don’t have dragons yet, please use both attacks as quickly as possible. 3) Clan chat. Communication is KEY. Near the end of the war, when we are “directing traffic”, please refrain from unnecessary chat so we can coordinate our final push. 5) Second Attacks. Be prepared to analyze any single-star or failed attacks from clanmates near your number, to go in and get that 2nd or 3rd star with your 2nd attack. This strategy is a good one. The first player in doesn’t know where the traps are, or what the cc troops are. We can “team up” with our clanmates on either side of us to clean up each others’ failed or single star 1st attacks with our 2nd. 6) If you see a weakness in another clanmate’s opponent, please let them know! Overall, this was a very impressive victory, given our opponent’s strength. In case anyone did not know, Raziel, their #3 player requested to join our clan after the war, in order to congratulate us on the win. I believe his words were “You guys and gals rock”. They were evidently impressed with our performance enough that they felt the need to tell us on chat. We have said before that our clan is special, and it’s victories like these that confirm it. Great win guys! Let’s keep working to get better and better. Any tips you can offer your clanmates on execution, please feel free to post it here in the forum under the strategy topics. As always, comments are welcome. Keep it civil. Ebauch! When are you and Fluffy coming back? ?